Lyme disease: When will pediatric symptoms resolve? Over a 13-year period that began in 2004, cases of illness transmitted by ticks, mosquitoes and fleas have more than tripled, the CDC found. 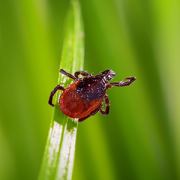 The summer of 2018 was a bad summer for Lyme disease, the tick-borne disease that was first documented in the 1970s in the town of Lyme, Connecticut. While about 30,000 cases of this disease had been reported annually in recent years, studies suggest that the actual number of infections is around 10 times greater. And according to a study published May 2018 by the Centers for Disease Control and Prevention (CDC), those case numbers may increase over time. Over a 13-year period that began in 2004, cases of illness transmitted by ticks, mosquitoes and fleas have more than tripled, the CDC found. Lyme disease causes a host of uncomfortable symptoms, ranging from headache and neurological problems, heart problems and eye inflammation in earlier stages, and progressing to joint pain and arthritis in later stages. While it can be treated successfully with appropriate antibiotics, the timeframe for kids’ symptom resolution has been unclear. A new study by researchers at Children’s National Health System shows that symptoms improve just days or weeks after starting antibiotic therapy for the vast majority of patients, with people whose symptoms had been present a briefer time improving the fastest. “These findings offer a reassuring timeline for doctors, patients and their families about when patients with Lyme disease can expect to feel better,” says study Senior Author Roberta L. DeBiasi, M.D., MS, Children’s National’s chief of the Division of Pediatric Infectious Diseases and co-director of the Congenital Zika Virus Program. 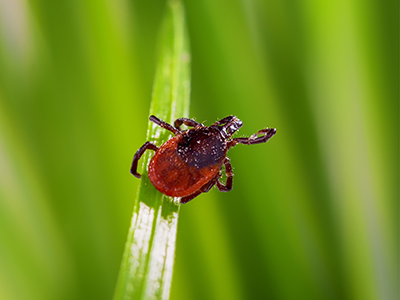 Dr. DeBiasi was recently appointed to serve on a 52-member Tick-Borne Disease Working Group established in 2018 by the Department of Health and Human Services. Dr. DeBiasi and colleagues collected data retrospectively from the medical records of 78 patients who had been hospitalized at Children’s National for Lyme disease from 2008 to 2015. Each child, who was younger than 18 years old, had documented symptoms and lab tests conclusive for this disease. Pseudotumor cerebri (increased pressure inside the skull). Just over one-half had symptoms consistent with late-stage disease, which mostly consisted of arthritis affecting the knees, along with the hips and elbows in some cases. In the hospital, each patient was started on an antibiotic that can effectively treat Lyme, including doxycycline, cefotaxime or ceftriaxone, which they continued at home for the prescribed length of the course. The researchers then tracked how quickly the patients’ symptoms resolved. They report online July 30, 2018, in the Journal of the Pediatric Infectious Diseases Society, that the time to symptom resolution for early stages of disease did not depend on the duration of symptoms prior to starting antibiotics. However, for later stages of disease, patients with longer duration of symptoms prior to starting treatment took longer for their symptoms to resolve. For patients with early-stage disease, the most common symptom was headache; the median time to symptom resolution was just three days, no matter how long the headache had persisted before treatment started. However, for patients with late-stage Lyme disease, the median time to resolution was 18 days. However, the time depended largely on how long symptoms had persisted before patients began taking antibiotics. For example, patients who had experienced arthritis for less than one week had a shorter time to resolution than those who had arthritis for more than two weeks. This finding is important, Dr. DeBiasi says, because it suggests that diagnosing Lyme disease earlier – and prescribing the appropriate therapy as soon as possible – can hasten recovery. The vast majority of patients in the study, she adds, eventually experienced full resolution of their symptoms, which should be comforting to families worried about whether their child will ever feel well again. Dr. DeBiasi and Children’s Psychologist Maureen Monaghan, Ph.D., are leading another Lyme study in collaboration with the National Institutes of Health/National Institute of Allergy and Infectious Diseases to evaluate symptom resolution, quality of life and neurocognitive outcomes in a larger group of pediatric patients with Lyme disease. In addition to Dr. DeBiasi and Monaghan, Children’s co-authors include Lead Author Mattia E. Chason; Biostatistician Jichuan Wang, Ph.D.; and Yao Cheng. https://innovationdistrict.childrensnational.org/wp-content/uploads/2018/10/Deer-tick.png 300 400 Innovation District https://innovationdistrict.childrensnational.org/wp-content/uploads/2018/11/idlogo1-tagline-Advances-in-Medicine.gif Innovation District2018-10-22 11:14:362019-02-13 14:14:23Lyme disease: When will pediatric symptoms resolve?